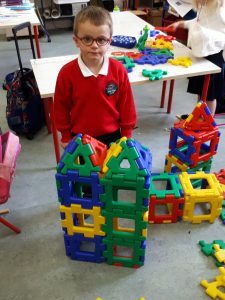 September has been a fun filled and busy month in the Junior room. Check out what we’ve been up to below! 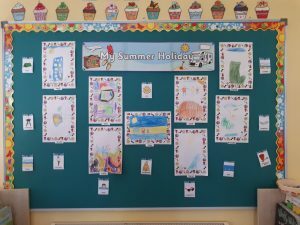 To begin with we drew colourful pictures of our summer holidays. 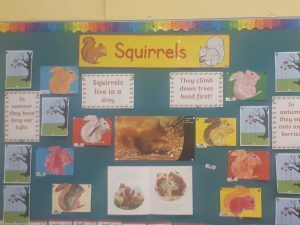 In Art we made squirrel mobiles and we had looked at these interesting animals in Science. 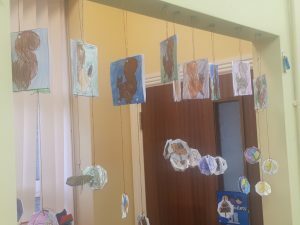 We’ve been revising letters in Senior Infants and learning our sounds in Junior Infants. 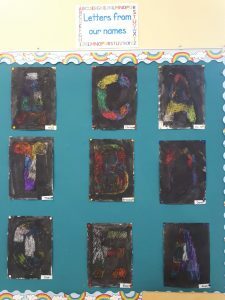 We made colourful letters from our names using oil pastels and black paint. There were patterns etched in the paint to show the letter underneath. 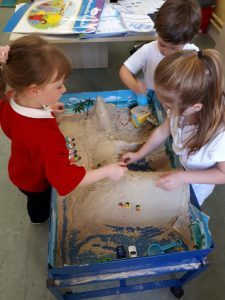 We’ve also been learning all about how we’ve grown since we were babies. 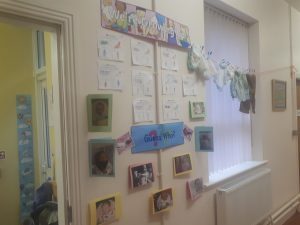 We have a clothes timeline in the corridor as well as photos of us as babies and now, showing how we’ve grown and changed over the years. 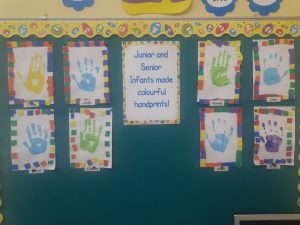 To show that we are all unique we made hand prints with colourful frames. 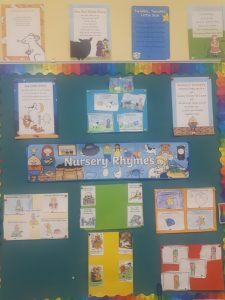 In music we learned lots of nursery rhymes, as well as singing them we coloured and cut out pictures of them and put them in order. 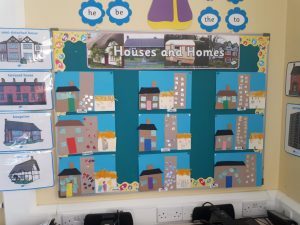 We also made different homes such as apartments, houses and cottages in art using lots of different materials.